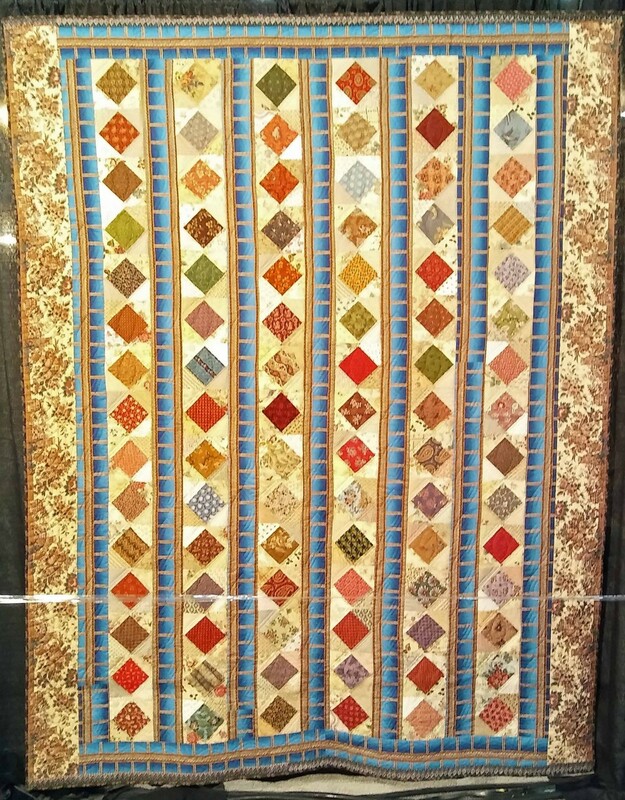 The Houston International Quilt Festival has a large hall for of a variety of exhibits each year. This year one of the exhibits displayed reproductions of 19th and early 20th century masterpiece quilts made with reproductions fabrics. 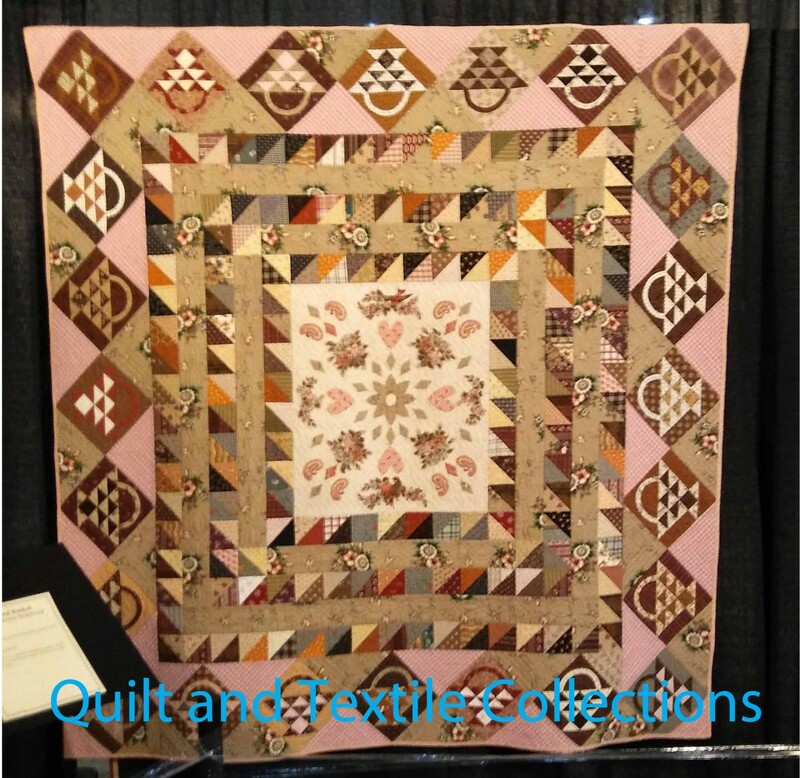 The biennial event was sponsored by the France Patchwork nonprofit organization, one of the largest member organizations in the European Quilt Association. With more than 12,500 members, I suspect selecting the 30 quilts for the exhibition was difficult. Each quilt artist selects a quilt which inspired the reproduction. 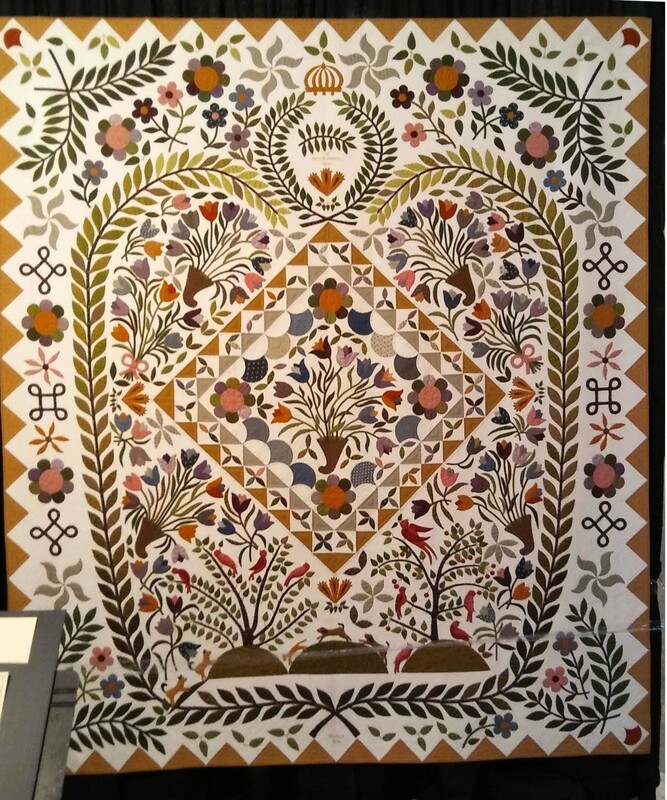 It is a wonderful bonus for the exhibition viewers when the quilter cites the specific inspiration quilt, which allows for additional learning and comparison. It is often difficult for the casual observer to know the antique from the new quilt from photographs, as the reproductions are usually to close to the original. It is such a pity when the information has been left out! Just as we have learned the importance of documenting the quilt maker and date on quilts, documenting the pattern or inspiration is another important step. 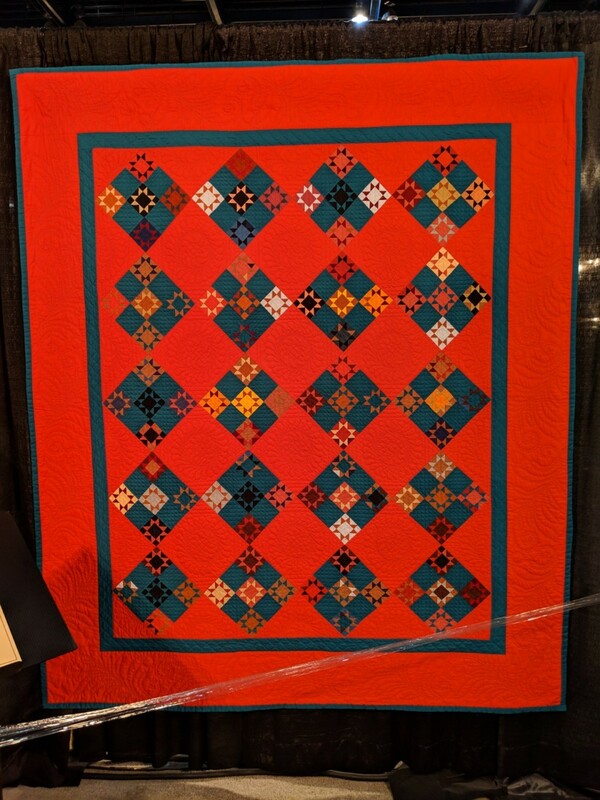 Kay and I were excited to see three of the quilts were inspired by quilts from our books, including “Chintz Quilts from the Poos Collection”, "Red and Green Quilts from the Poos Collection", and our upcoming book due out next year "Hidden Treasures of the Poos Collection. "It is always a joy to a writer for their work to inspire others, either in quilts, research or fabric collections. Congrats to the talented ladies of the France Patchwork organization, we look forward to seeing the next Quilts de Légende exhibition in 2 years!